Rain penetration caused by building faults such as leaking rain water goods or defective roofs and rendering. 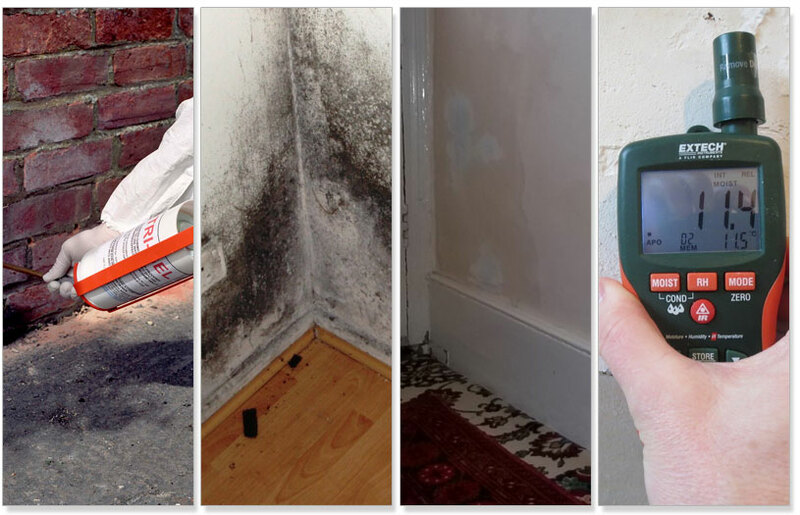 Whatever the cause it is important that the damp problem is correctly diagnosed and treated immediately before it causes costly damage to decorations, wall plaster and furniture and wood rotting or can have an effect on your family's health. All our damp and timber surveyors are Certified Surveyors in Remedial Treatments (CSRT), and SWWC are full members of the Property Care Association (PCA) who set the standards for the dampproofing industry. Our Damp Surveyor will carry out a thorough survey and diagnose the cause of the problem in a detailed report, provide expert advise and recommendations and a quotation for any remedial work that may be required. You can be assured that our fully trained damp proofing operatives have many years experience at working in occupied property and are fully aware of your needs whilst carrying out the work. We only use the safest and most up-to-date damp proofing materials and will keep you advised of our progress for the duration of the work. All damp proofing works are covered by our long term guarantee which for your piece of mind can be protected by Guarantee Protection Insurance (GPI). If you have any questions to put our Damp Treatment specialist or would simply like to book an appointment for a survey please call we are always happy to help.